‘Spitfire’ is a cinematic, epic tale of determination, vision and courage. It is the story of an aeroplane that was forged in competition, shaped as the war clouds gathered, and refined in the white heat of combat, going on to become the most famous fighter plane ever made. Credited with changing the course of world history, this is the story of the Spitfire told personally in the words of the last-surviving combat veterans. Watch breath-taking aerial footage from the world’s top aviation photographer John Dibbs and rare digitally re-mastered, archive footage from the tumultuous days of the 1940’s, when her power in the skies was unrivalled. 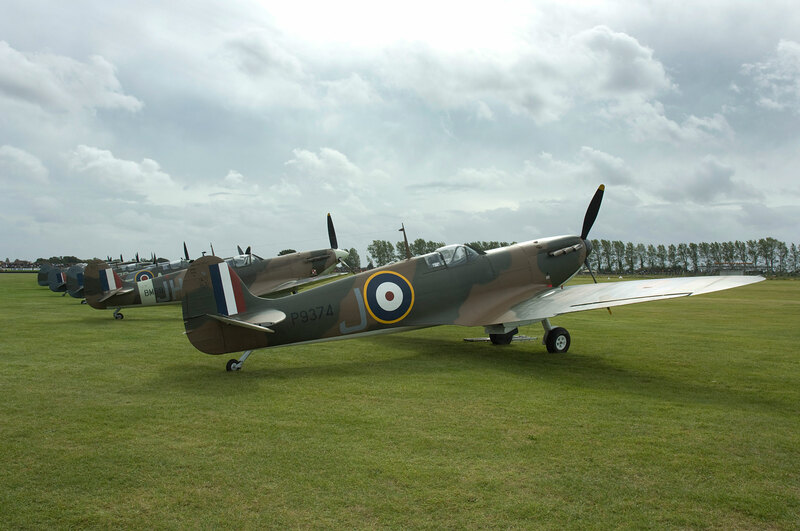 The film is accompanied by a specially commissioned score by composer Chris Roe and an incredible soundscape of the famous Merlin engine. Founder and Chairman of ‘British Film Company’, Steve Milne, along with Co-Directors David Fairhead and Anthony Palmer, will present this striking and poignant feature documentary and will be available afterwards to sign the Companion book on the making of the film. The evening will begin at 7.00pm in the Lecture Theatre of the Collections Centre, National Motor Museum, Beaulieu. A bar will be available for the purchase of beers, wines, soft drinks and tea and coffee. The evenings will conclude at around 10.00 pm. Tickets are £10.00 each for non-members; £7.50 for members. For further information and to purchase tickets please contact Theresa Browning on 01590 614792 or email theresa.browning@beaulieu.co.uk. Please note: The National Motor Museum will not be open at this event. © 2019 The National Motor Museum Trust. Registered charity no.1107656.